"I recently purchased an Android phone. I would like to add video to it so I can view it on my Android phone. But even after uploading in, the phone fails to play them. Anyone have any suggestions on how to put video to Android phone for playback?" If you would like to watch your favorite video using a Android phone, firstly, you need to know what file formats does Android phone support. Android phone is famous for running multiple applications at the same time, but it supports relatively few video formats, only H.263, H.264 AVC, MPEG-4 SP video format. Obviously, if you want to put video files to Android phone for watching, you must transcode video to Android phone supported formats first, and then transfer videos to Android phone to play. If fact, it is very easy so long as you own the professional video converter for Android. 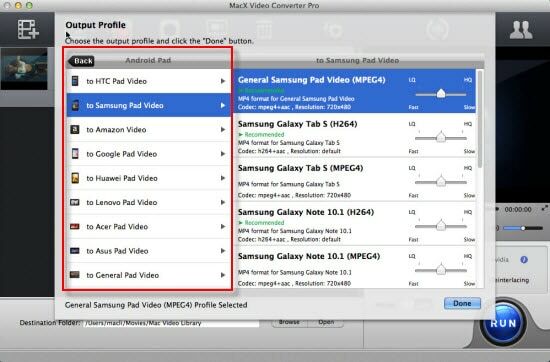 Let's take a look at the world-class Android video converter MacX Video Converter Pro which is completely free and surprisingly full-featured. No matter what video format you have like AVI, Xvid, DivX, MKV, WMV, RM, FLV, ASF, MPEG, MOV, MTS, M2TS, and TS, this converter is able to convert them to Android phone video format in a moment. All-in-one Android video converterter to convert 4K/8K/HD video to Andriod Samsung HTC on Mac (El Capitan) and Windows (10) with 5X faster than others & no quality loss. 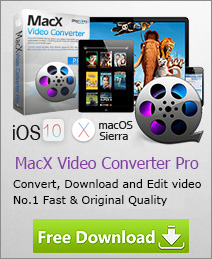 Free download this fastest Mac video converter for Android. Click the "Add File" button to import your video which you want to play on Android phone. Or simply drag and drop video transcoder. After adding video file, the video's information, such as name, video size, video length, duration and output will be shown in the file list. Choose "to Android" to convert video files to Android Huawei Mate 10, HTC One, Amazon Fire Phone, etc. The video/audio settings will be adjusted automatically according to the chosen device preset. You can also set your own parameters as you need. After conversion, you can connect your phone with computer, and transfer the converted video to your phone. With this video to Andriod converter, you can take your Android phone's big screen with you every minute and anywhere to enjoy your favorite video in the most vivid way. What's the video formats that can be played on Android (Samsung, HTC, etc)? Here you will learn the supported video format for Android and Mac DVD ripper & video converter to transfer DVD movies and videos to Android playable video format on Mac. This article will discuss the best video converter for Android and the simple steps to convert video to Android mobile phone and tablet, including HTC One M8, Galaxy S5/S4, Google new Nexus 7, Kindle Fire, Surface Pro 2, etc.